Οὖτις, ὃν οὔ πώ φημι πεφυγμένον εἶναι ὄλεθρον. λωφήσειε κακῶν, τά μοι οὐτιδανὸς πόρεν Οὖτις. As horrifying as his earlier behavior had been, and as menacing as his threats to repaint his walls with Odysseus’ blood may sound, this speech is nevertheless given in the context of a much more deeply humanizing emotion: Polyphemus’ solicitous concern for his ram. He knows these animals, and evinces a tender regard for their well-being even in the midst of his own suffering. Indeed, this affectionate concern for his ram serves as a stark counterpoint to the actions of Odysseus, who throughout the poem shows no apparent serious regard for his companions. At no point in the poem does Odysseus show any outward emotional attachment to his men, and it is notable that even in his own tale of his sufferings, the loss of his men is primarily framed as something which happened to him. 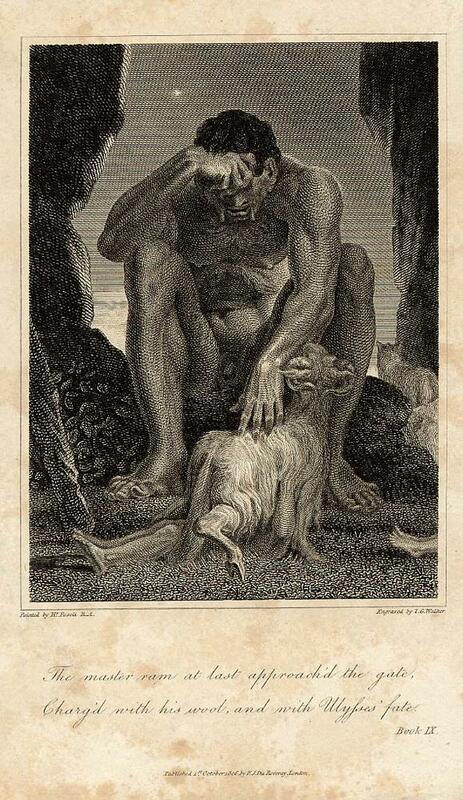 Polyphemus is thus portrayed as being, despite his monstrous qualities, a more compassionate figure than Odysseus. Yet, putting Odyssean knavery aside, I think that the lines in the Aeneid reflect a very close reading of the Odyssey. Polyphemus tells his ram that murdering Odysseus would alleviate the sufferings in his heart (κὰδ δέ κ᾽ ἐμὸν κῆρ λωφήσειε κακῶν), but once the ram has left the cave, he is deprived of his chance at attaining this relief. Consequently, it is literally true that his flocks are now his only comfort. So, while it may appear that the phrase “that was his one pleasure, his one solace in his suffering” (ea sola voluptas solamenque mali) is included simply to heighten the pathos of the scene and underscore the humanity of even a monster like Polyphemus, it turns out that this brilliant psychological conceit is deeply rooted in a few lines of Homer. AP Latin Week: Pious Aeneas… The Priest?